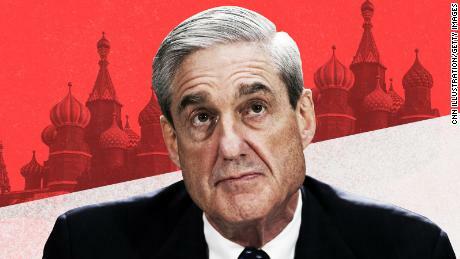 Washington – President Donald Trump’s legal team has been told in recent weeks that special counsel Robert Mueller does not consider Trump a target in his investigation into Russian interference in the 2016 election, but he’s more than a witness, sources familiar with the matter tell CNN. The issue came up in discussions last month as Trump and Mueller’s teams were negotiating over potential testimony. One source said it was a routine discussion to have, and it was then that Trump’s lawyers were told that the President cannot be a witness because he was involved in some of the matters under investigation. But he is also not a criminal target at this point. In practical terms, Trump’s attorneys believe he is unlikely to be considered a target because Justice Department guidelines do not allow for a sitting president to be charged with a crime. One of the sources explained that Mueller’s team never specified that the President was a subject. But given that he is not a witness and not a target, that is the understanding by the team. They believe Mueller would only go after the President if there is something momentous or indisputable evidence, one of the sources said. Trump and his team continue to believe there is no “there there” when it comes to the President’s actions. The special counsel raised the prospect of eventually producing a report that could focus on obstruction, according to the sources. But there’s no indication such a report is already in preparation or coming soon. There’s also been no decision on whether Trump will provide testimony to the special counsel. The President still goes back and forth about what he thinks he ought to do, one of the sources said, adding that he does think that the fact that he’s not considered a target is a good thing. One of the sources acknowledged that the ball is in the hands of the President’s legal team right now. As CNN previously reported, the special counsel has run by them topics of interest to talk to Trump about.